What type of mom are you? Are you a Breastfeeding mom or a Babywearing mom? Probably, you're a Tech Mom or a Mompreneur. Are you preggers and Belly Blessed or a Fit Mom who squeezes in some yoga time into your busy schedule. Me? I'm a Hands-on mom who works at home so I can be there for my boy 24/7. 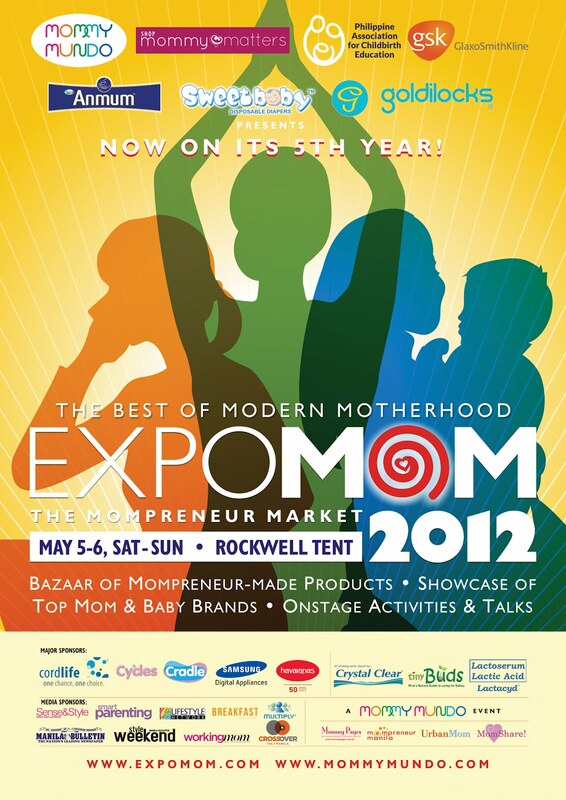 This year's Expo Mom celebrates the many faces of motherhood by featuring the latest products and services that would suit their needs. Expo Mom 2012: The Best of Modern Motherhood is happening on May 5 and 6, 2012 at the Rockwell Tent and still lives up to its name as the only lifestyle event of its kind created especially for moms. Aside from the trademark mom bazaar of products and services, expect to witness interactive sessions that will touch the concerns of each mom persona. For example, there will be talks on the latest health trends for the Fit Moms. Guest Mompreneurs will also share their secrets to success. Mommy Matters will also be launching its newest campaign so better be present for that! Kristine Hermosa-Sotto, Oyo Sotto, and Danica Sotto-Pingris at last year's Expo Mom. 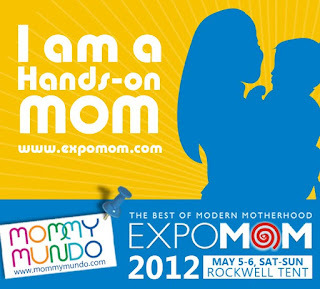 Expo Mom 2012 is co-presented by Shop Mommy Matters, Philippine Association of Childbirth Educators (PACE), GlaxoSmithKline, Anmum, Sweet Baby Diapers and Goldilocks. 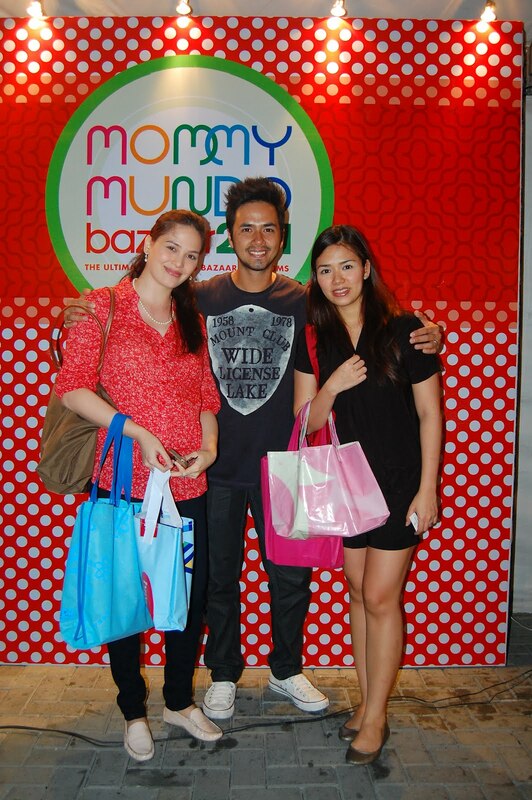 Sponsors include CordLife Philippines, Cycles Mild Detergent, Cradles, Samsung, Havaianas. Also supported by Crystal Clear, Tiny Buds, Lactacyd Baby Bath. Media Partners include Manila Bulletin, Sense & Style Magazine, Style Weekend, Working Mom Magazine, Lifestyle Network, Smart Parenting, Breakfast Magazine, Multiply.com, Crossover 105.1 FM, Urban Mom Magazine and Mommy Pages. That looks fun. Wonder if there will mommy bloggers who will put items there on exhibit. Look like it's going to be an awesome day for moms. Too bad I will on vacation until May 12. Hay I wish we can have something like that here. We don't have such events. :( Sad.